I’ve been busy preparing for the onslaught of Eric’s friends for the Super Bowl. Dinner is Sofrito Braised Country-Style Spare Ribs Over Rice, Beans & Chorizo. No one has a favorite team this year and I expect a rather low-key (no yelling or expletives) evening. They arrive around 4ish and expect noshes. I like to mix up the Super Bowl recipes and not always rely on salsa and chips and chili. Here’s a recipe for a quick and easy appetizer, Buffalo Wing Dip. Check out some of these links for delicious dessert ideas! Heat the oil in a 7-quart covered Dutch oven or heat-proof slow cooker insert over medium-high heat. 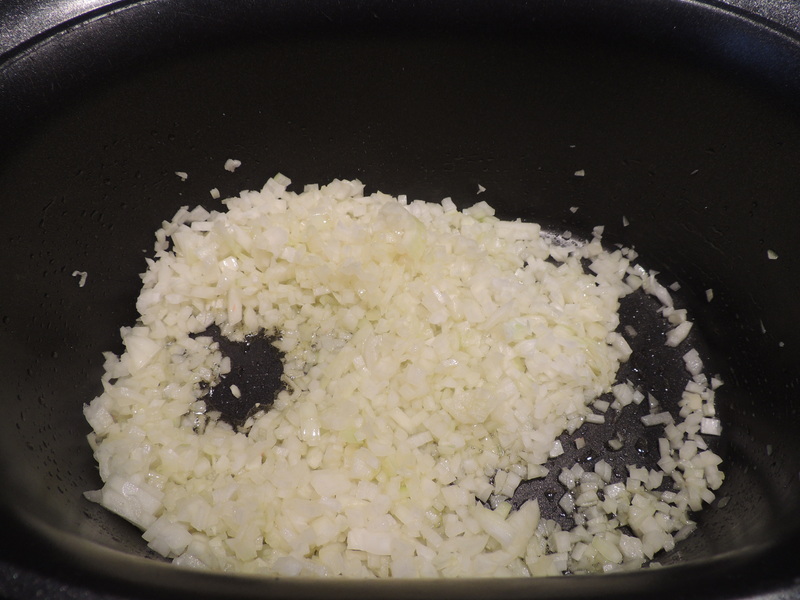 Once the oil is hot (it quivers a bit), add the onion, cover and sweat for five minutes. 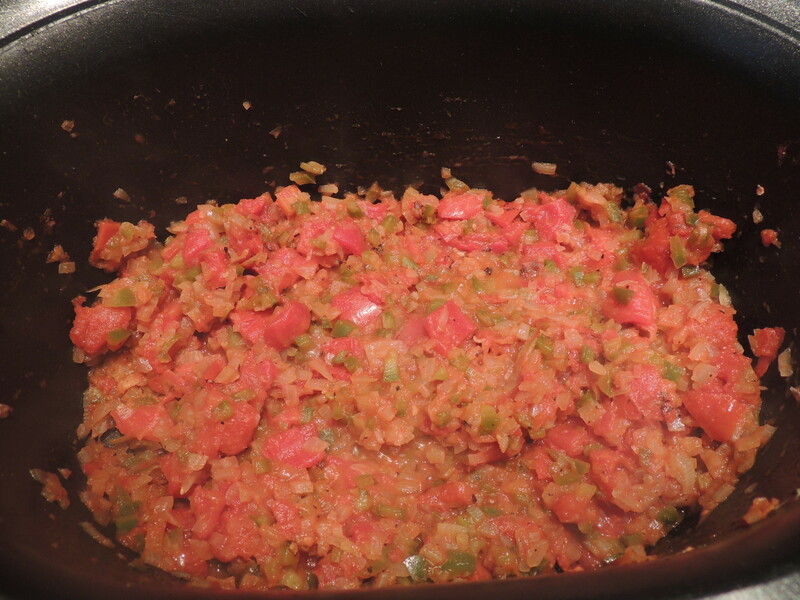 Stir in the green pepper, tomatoes, salt and pepper flakes; bring to a boil, lower a bit and continue cooking until the liquid reduces about ten minutes. Add the garlic, sherry wine vinegar, coriander, turmeric, jalapeño and bay leaves, stir and cook for 30 seconds, just until fragrant. Pour in the stock and stir to combine. Note: this is more liquid than I would normally use, but I want 2 cups of the flavorful liquid to cook the rice. 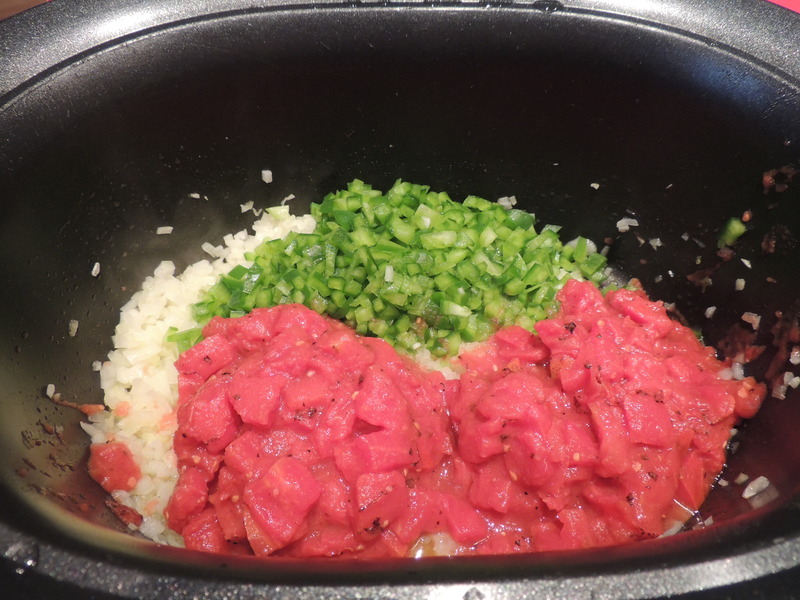 Set the spare ribs in the sofrito and bring to a boil. 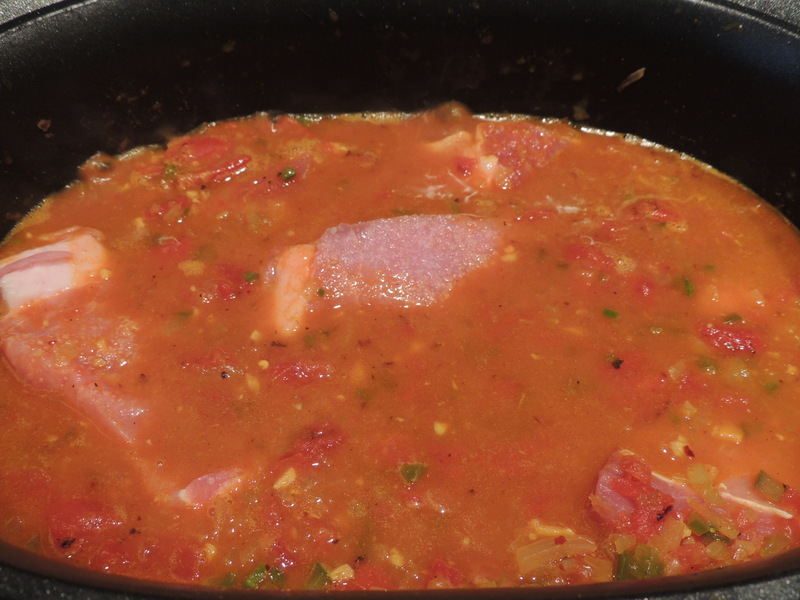 Stovetop Method: lower heat to barely simmer and continue cooking until the pork is fork tender, about two and one-half hours. Slow Cooker Method: Set the slow cooker on low and cook until the pork is fork tender; check at six hours and adjust accordingly. Cool and refrigerate overnight. Skim the fat before reheating. Heat the oil in a small sauté pan over medium-high heat. 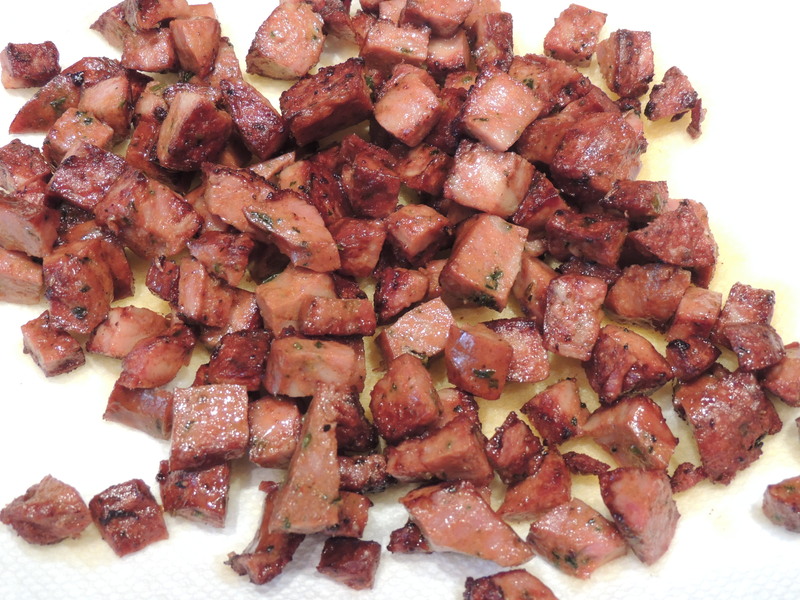 Add the chorizo and sauté until golden brown, about five minutes. Remove to a paper towel-lined plate. 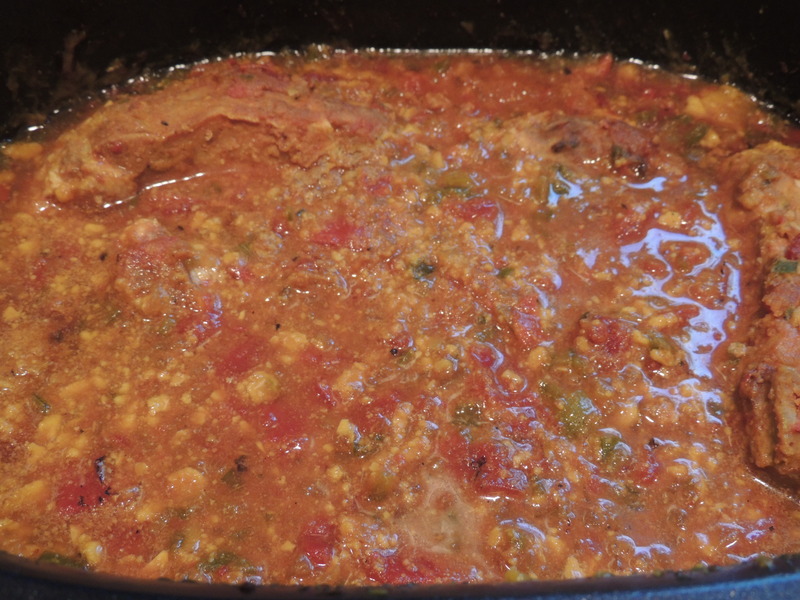 Put the strained sofrito sauce and rice in a medium-sized covered saucepan. 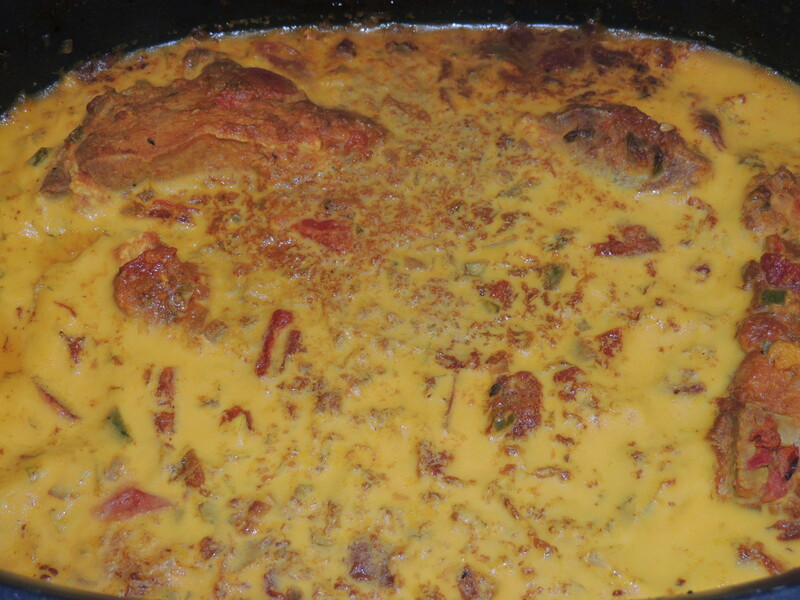 Bring to a boil and lower the heat to simmer, cover and cook for the recommended time on the package. Note: Follow instructions on package for cooking in Microwave. Stir in the beans, chorizo and cilantro; continue cooking until heated through. To serve: Spoon the rice mixture in the middle of the plate, top with the spare ribs and ladle sauce over the top. 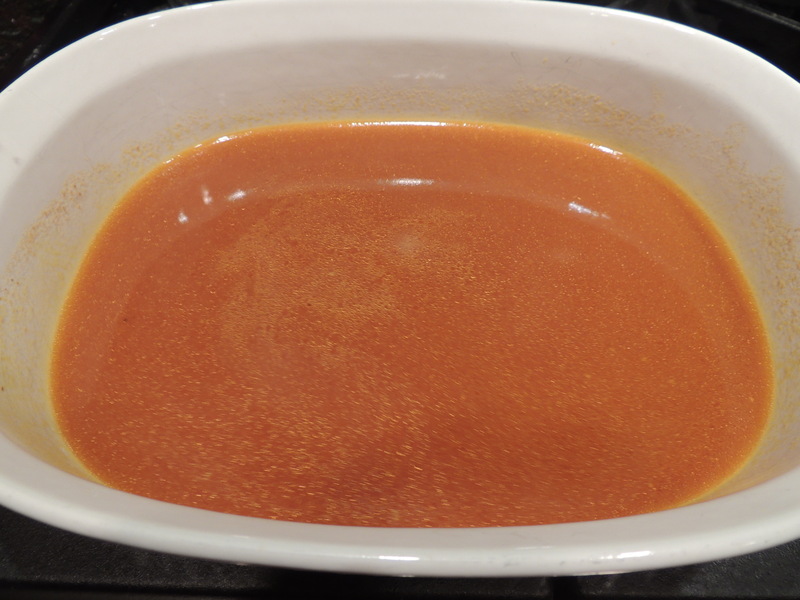 Serve remaining sauce in a gravy boat. Make this a day or two in advance to let the flavors meld. Heat the oil in a 7-quart covered Dutch oven or heat-proof slow cooker insert over medium-high heat. Once the oil is hot (it quivers a bit), add the onion, cover and sweat for 5 minutes. 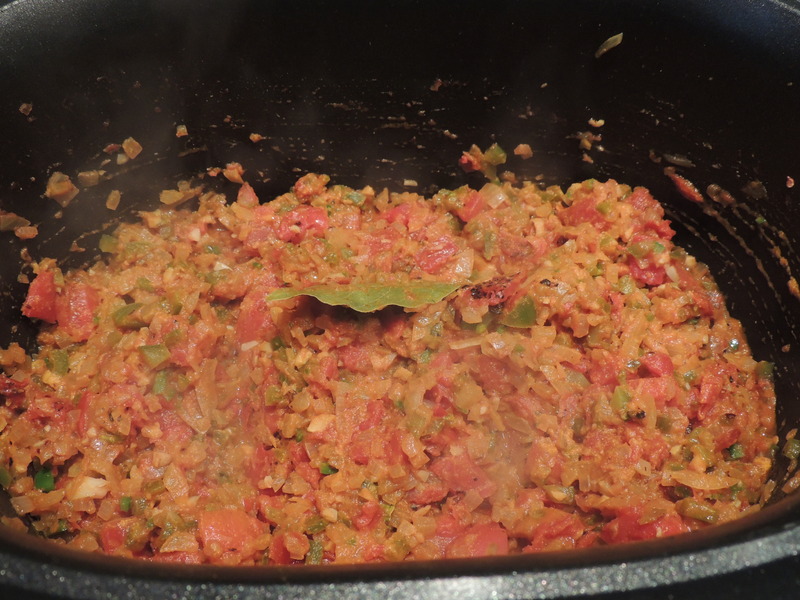 Stir in the green pepper, tomatoes, salt and pepper flakes; bring to a boil, lower a bit and continue cooking until the liquid reduces about 10 minutes. Note: this is more liquid that I would normally use, but I want 2 cups of the flavorful liquid to cook the rice. Note: Follow instructions on package for cooking in the Microwave. Make this for Super Bowl Sunday or any dinner.